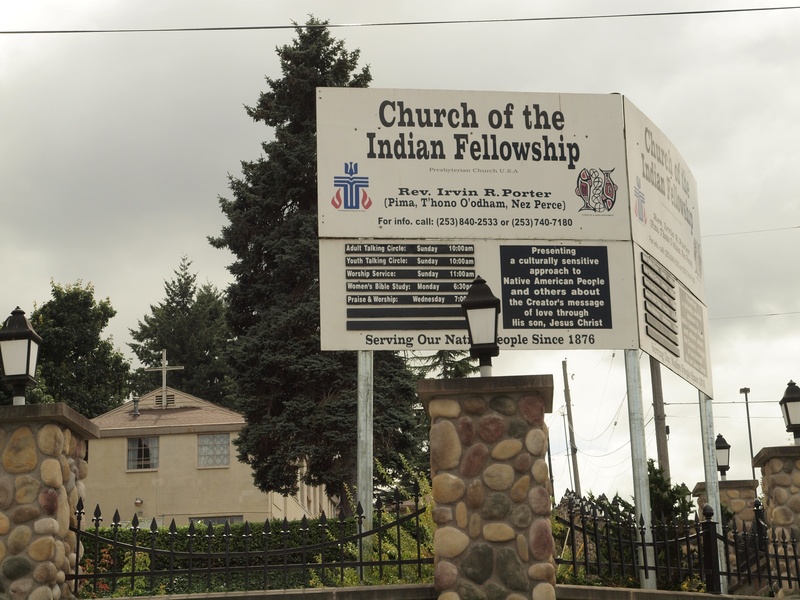 After a whirlwind time with family in Seattle, we wanted to blog a little about our conversation with a young native leader in the Presbyterian Church and Native American ministries, Irv Porter, pastor of the Church of Indian Fellowship in Puyallup, Washington. 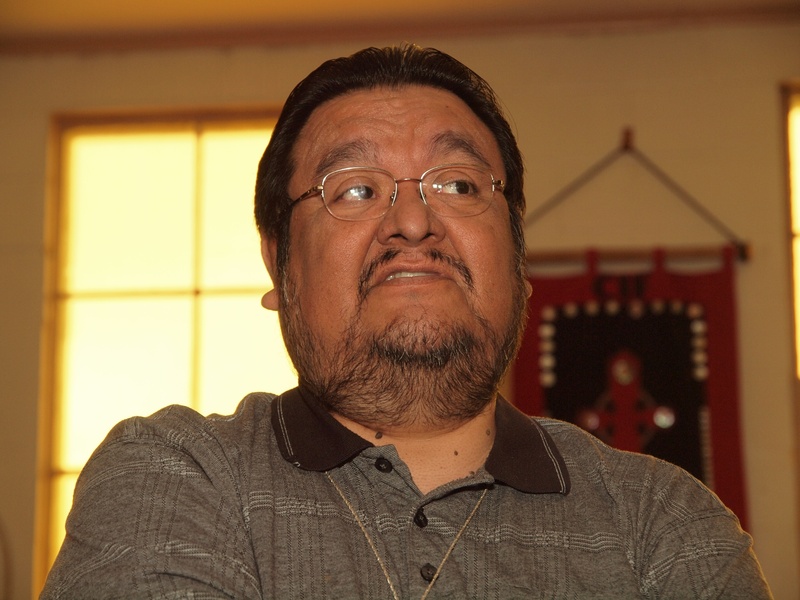 His own ancestry is a blend of Pima, T’hono O’odham and Nez Perce. On the Nez Perce side, he descends from Twisted Hair, who guided Lewis and Clark, and whose offspring were original founding elders in the Presbyterian mission church in Idaho. 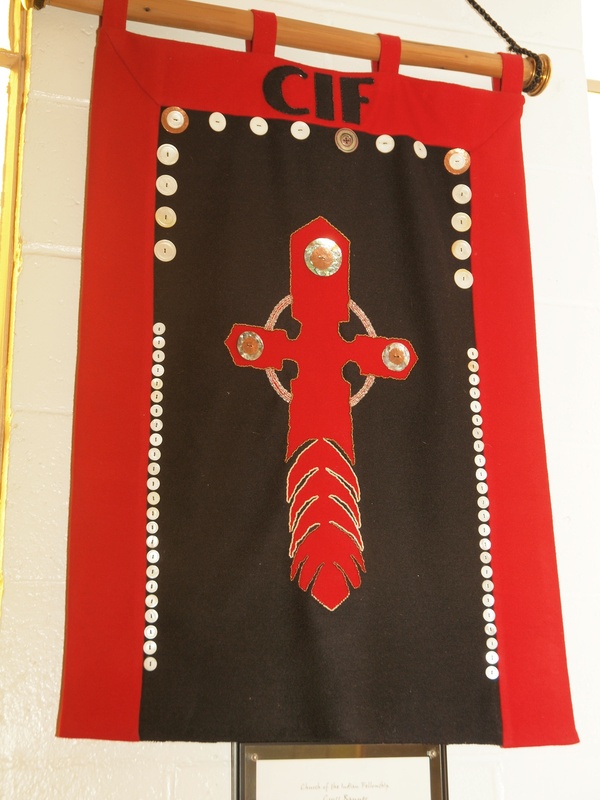 First of all we were surprised to see hoops, feathers and other Native symbols in the church. These were introduced gradually by church members, Porter said, and have been controversial. Also present on the communion table was a set of beautiful vessels from Laguna Pueblo in New Mexico. Porter has had to do a lot of hard balancing between the church and the tribe as well as between different generations in the congregation. 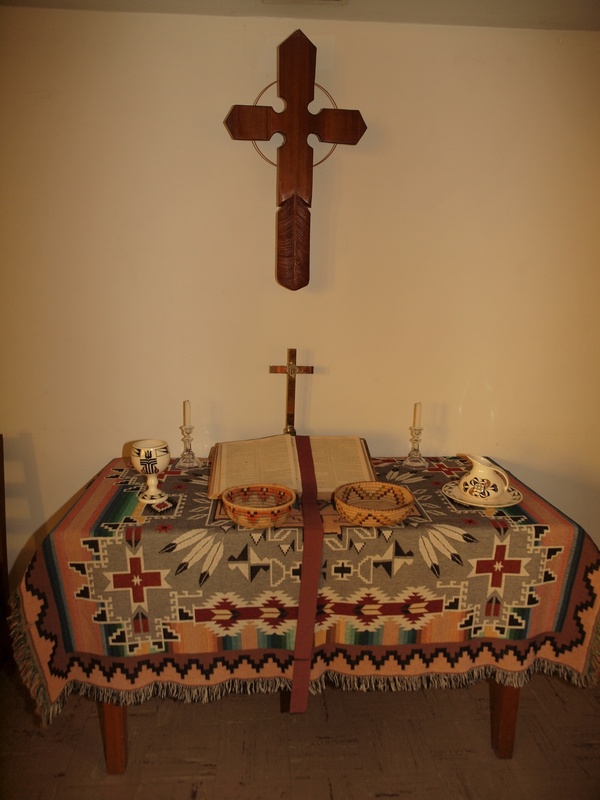 He is posititioned at the crossroads of a church in transition, a church that faces a difficult and challenging future because of the loss of denominational funding, a situation that many of the Jicarita Cluster churches of northern New Mexico also know firsthand. Porter has his hands full but the church is growing and has a number of active young people. We enjoyed our conversation with Rev. Porter, who had keen insights into how to honor tradition while opening pathways for new forms of expression and worship. One of his ideas resonated strongly with us, since we’ve seen it operating in northern New Mexico: that the church must increasingly rely on elders in these times when professional clergy are harder to come by. He views them as having a key mentoring role for youth, from whose ranks future leaders must come, and believes we must be focusing energy and resources on elder training (again, something already strongly underway through the commissioned lay pastor program in our area at home). He also empasized the importance of listening attentively to hear what people may truly be seeking in church, so that the church can more faithfully and effectively address those yearnings out of its store of gospel wisdom. This is of course right at the heart of what our journey is about, and we hope there will be future opportunities to build upon the friendships we have made and what we have heard from Irv and others along our path. Very well done! Thank you for that witness. The pictures you posted here are also very good. I have enjoyed reading your blog.